The Happy Chocolatier was founded to spread chocolate happiness. 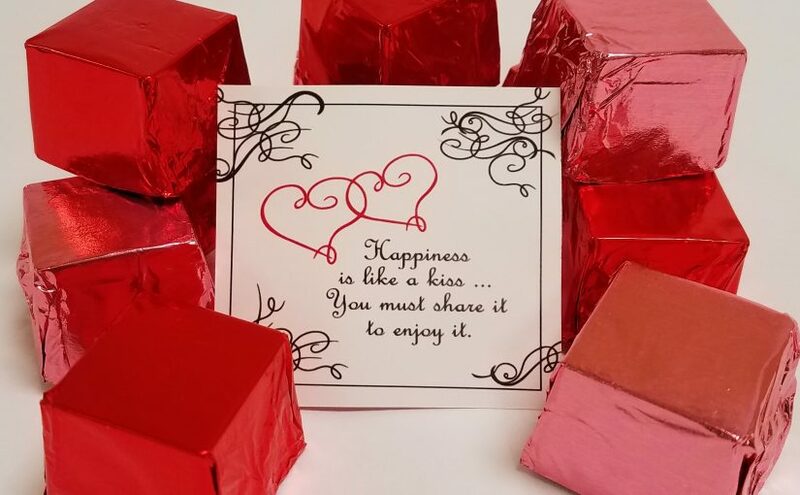 We know chocolate generally makes people happy, so we took it up a notch by wrapping little statements about happiness into each piece. Each chocolate truffle Cubze is a gift that literally shares a bit of happiness. This statement is attributed to Bernard Meltzer, a radio personality. His call-in show, “What’s Your Problem,” aired from 1967 to the mid 1990’s in PA and NY. Many of our other happy statements are credited to famous people like Abe Lincoln, Mother Teresa, and the Dali Lama, or well-known authors. Others come from contests we’ve conducted. We invite anyone to submit a suggestion for a happiness statement to us at info@thehappychocolatier.com. If we use it, the creator gets a box of truffle Cubze (and bragging rights, of course).